Global giant Mitsui & Co has acquired up to 20 percent of PXiSE Energy Solutions, a subsidiary of Sempra Energy, in a move that is expected to accelerate the software company’s microgrid play. Announced today, the multi-million dollar investment deal brings Mitsui’s sales and marketing reach to PXiSE’s high-speed software, designed for utilities, microgrids and advanced supervisory control and data acquisition systems. Patrick Lee, president of San Diego-based PXiSE, told Microgrid Knowledge that the investment from Mitsui will help accelerate the software’s deployment for microgrids and distributed energy resource management solutions (DERMS) in multiple markets worldwide. “This includes supporting further product development and applications in markets with varying needs, expanding sales channels through Mitsui’s international network of partners, and building up capabilities with local partners to deliver the solutions,” he said. PXiSE describes its software platform as an advanced grid control technology that can help optimize energy resources at speeds of up to 60 times per second. According to the company the system increases reliability at a lower cost than traditional grid control systems. Among other things, the platform helps with management of demand charges. Sempra’s San Diego headquarters and Silver Oak Winery in Sonoma County, California both use the software for their microgrids. The application also is used by Sempra Renewables’ Auwahi Wind and Great Valley Solar facilities in Hawaii and Northern California. “We are confident PXiSE’s technology accelerates the digital transformation in the energy and power industry where Mitsui has many assets and access to partners,” said Makoto Serino, general manager of DT Business Development Division for Mitsui & Co.
Sempra Energy, parent of San Diego Gas & Electric and Southern California Gas, had 2017 revenues of more than $11 billion. 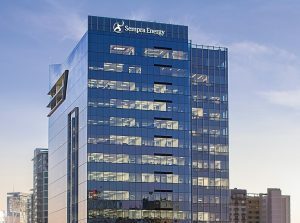 The Sempra Energy companies have about 20,000 employees and serve more than 40 million consumers worldwide. Mitsui & Co is headquartered in Tokyo and maintains a network of 137 offices in 66 countries and regions. It has 472 subsidiaries and associated companies worldwide. 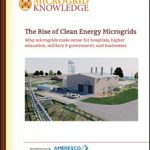 Join Microgrid Knowledge in San Diego May 14-16 for Microgrid 2019: Shaping the New Electric Grid.